There are several moments throughout your business day that present perfect opportunities to upsell products and services, while at the same time, cross promote your salon. However, sometimes these opportunities knock and we just don’t hear it… Every consumer interaction is jam-packed with potential, from booking an appointment to paying at the end (and everything in between). 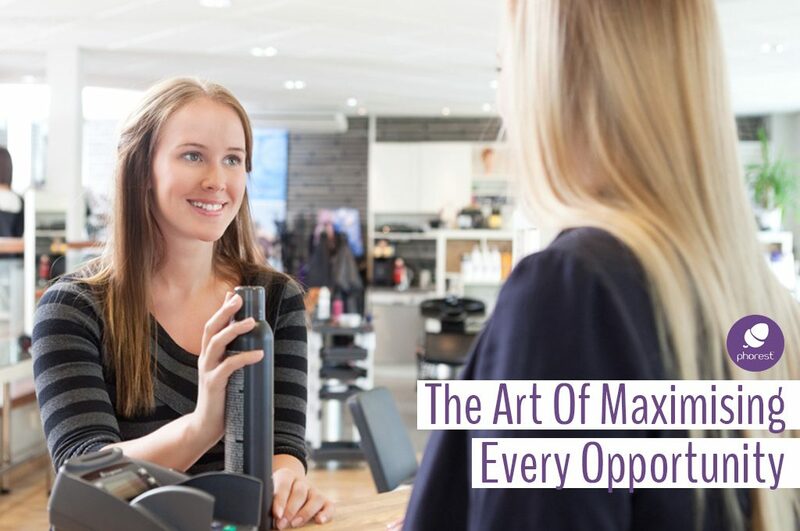 As a salon owner or a manager, you need to ask yourself this important question: Am I maximising my opportunities? If the client asks you about a treatment always start with the deluxe option and work down to a basic one, not vice versa. Your client has booked a basic service. Are you offering the chance to upgrade to the full / deluxe service? Is the client being offered the chance to convert the single treatment to a course of treatments? What is the conversation in the treatment room? Is it relevant to what you do and offer? Are you truly listening to your clients’ needs and creating revenue streams? The time your clients spend waiting for their service is a perfect chance to expose them to what you offer, and then upsell products and services. Menus and ‘brag books’ should be out for the clients to browse. 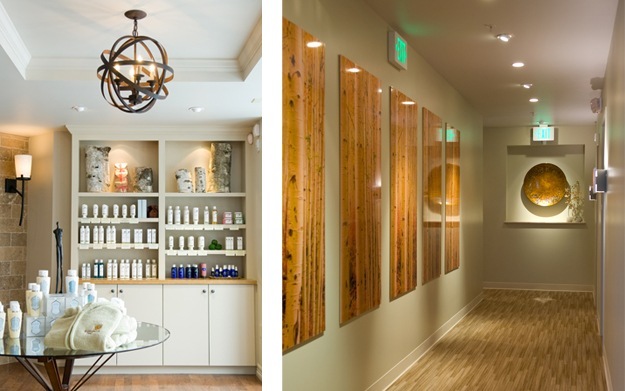 Make sure your clients can see your retail space with ease. Testers are great in these areas too and consider offering ‘tryvertizing’ windows*. Keeping conversations professional but friendly can be a juggling act, but always try to keep in your mind that your end goal is to increase the client’s average spend. Listen out for things like holiday plans, did they mention that their hair or skin was acting up, did they ask about new treatments, etc. 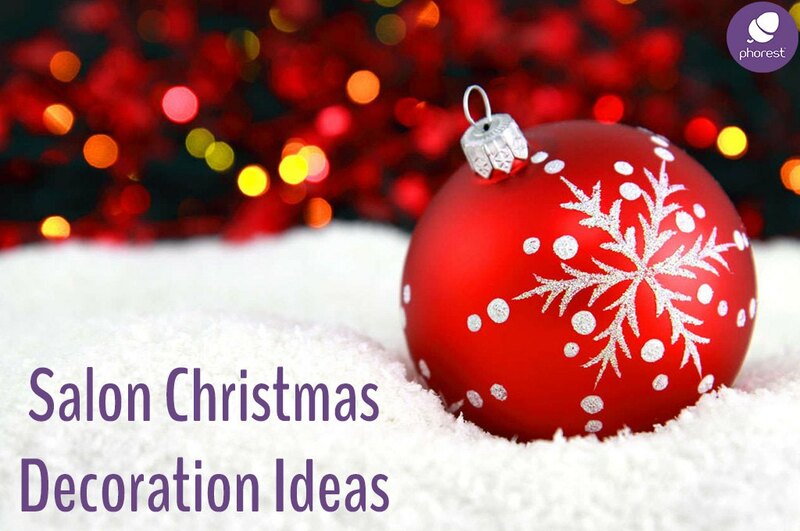 Use these as hooks, and build on them by keeping client notes and recommending a product or treatment that is great for their key concern or holiday. 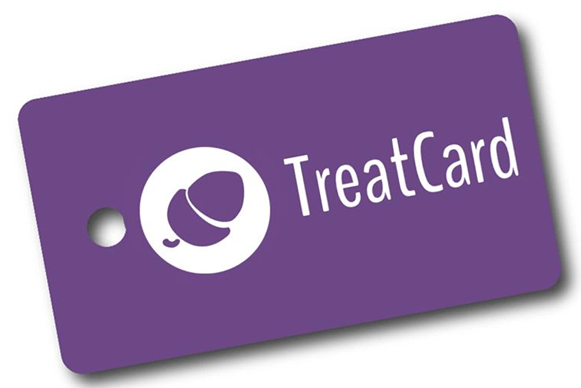 Are your clients aware of special offers and loyalty programs? Do they know you sell gift cards? Are treatments being re-booked? Are customers being upsold a course of the service they got on the day? Keep notes on what products a client has bought from you and ask them how they are getting on with them or whether they need to replenish anything they may be running out of. This way, you can also alert your clients to special offers on products they like and, in turn, potentially upsell products and services. Learn more about gift cards here. The ultimate upselling and cross promoting tool to grow your business is offering treats of services, treatments or products that the customer hasn’t experienced before. This lets customers try new services and products which in turn encourages multiple bookings and cross promotions with an integrated referral reward system. It’s a fantastic tool to maximize your upselling opportunities! It is a must for salons to have a Facebook and Instagram page that is interactive and engaging. If you educate and entertain clients you should manage to upsell products and services. Phorest offers a great online booking feature that allows your customers to make appointments directly through Facebook and allows people to share any 5/5 rating they give you with hundreds of their friends. Learn more about this feature here. Also, Snapchat is now another very interesting tool with which you can demo products and host Q&A sessions and such. Learn more about Snapchat here. Apps are a fast growing trend that is only getting stronger and has a fantastic ability to create brand awareness and enhance brand image. 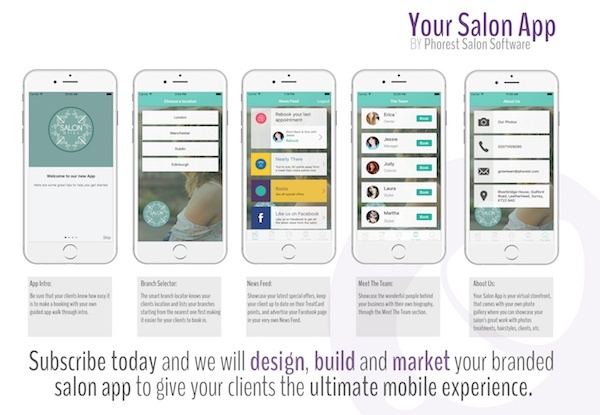 The Phorest Bespoke salon app comes with a convenient online booking feature and it is a must have for the modern customer-focused business; giving your customer 24/7 access to making a booking with you. An app will open up an additional revenue stream while cutting down on salon administration work, leaving you with more time to provide excellent customer service and client care. Learn more about this feature here. 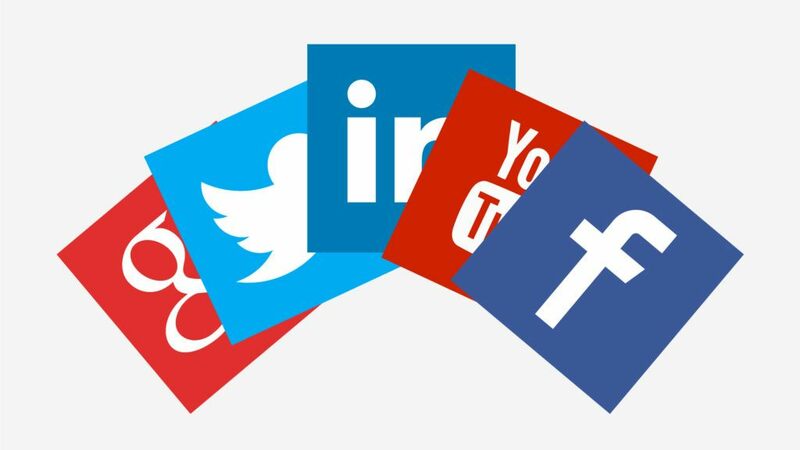 In the age of social media, it’s still so important to stay connected on a personal level and selling your business even when you’re not working. Always have a business card on hand and establish good relationships with local businesses in your area – they can promote your business through positive feedback and recommendations sending more clients your way! You may even find that the staff of those businesses will become clients of yours. Ultimately, your staff is the engine that drives your business – managers are the road map, owners are the fuel, but they can’t get the business to where it needs to go without a functioning team. Making sure your staff members are trained in retailing & can upsell products and services is essential to their confidence in dealing with clients and to following through on the goals & vision of your business. This will ultimately help your staff and you to grow your salon or spa in an effective way. So there you have it! Out top 10 tips on upselling products and services. 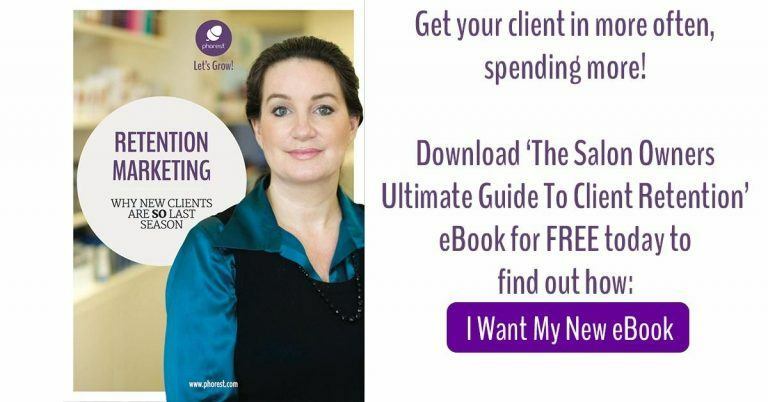 Also, if you’re interested in learning about client retention in your salon, just grab our FREE ebook here!